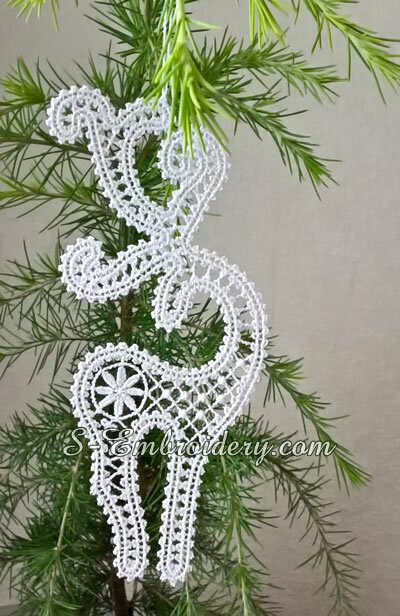 A reindeer Christmas ornament in Battenburg lace . 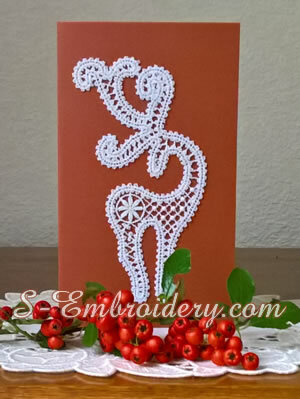 The design comes in 2 versions - a 2-color with metallic thread and a single color version. 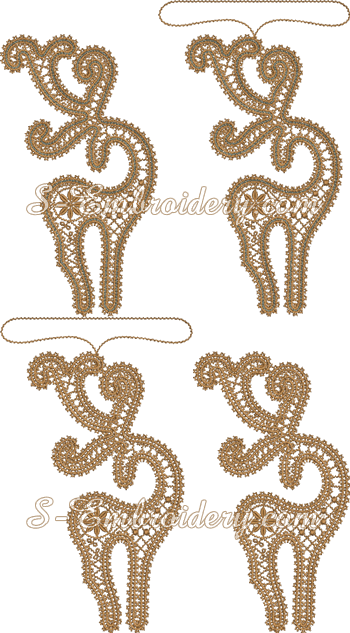 Each of the two versions is delivered both with and without a loop for hanging. 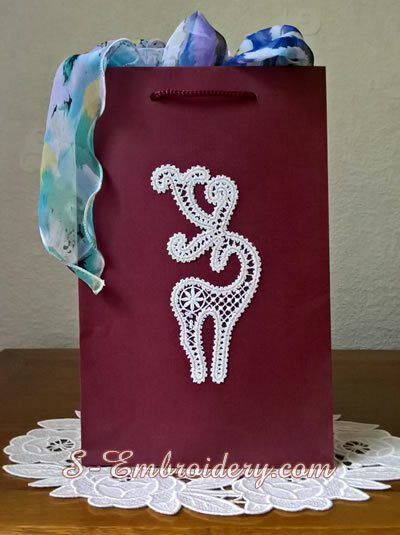 So, the designs from this machine embroidery set can be used for creating fine Christmas tree ornaments as well as for decoration of custom hand-made Christmas greeting cards, gift bags, etc. 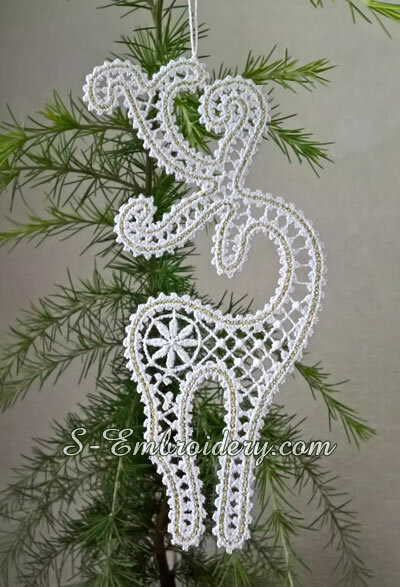 The size of the ready reindeer ornament (without the loop) would be approximately 81.8 x 147 mm (3.22 x 5.8 inches). The designs will fit in 5x7 (130x180) hoops.